ADDRESS : TAHA HOUSE 'A' WING BHAGYODAYANAGAR NEAR SATYANAND HOSPITAL KONDHWA PUNE 48. 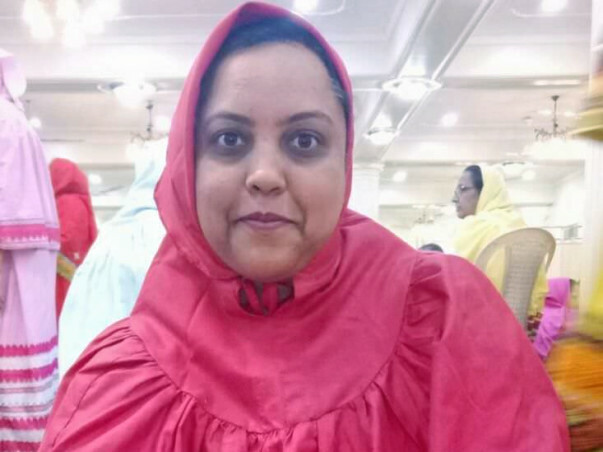 My wife Insiya met with n accident in 2015 and was hospitalized for 8 days and had done with a brain operation in which she was fine after that treatment of brain and it has cost us around 4laks at that time.. 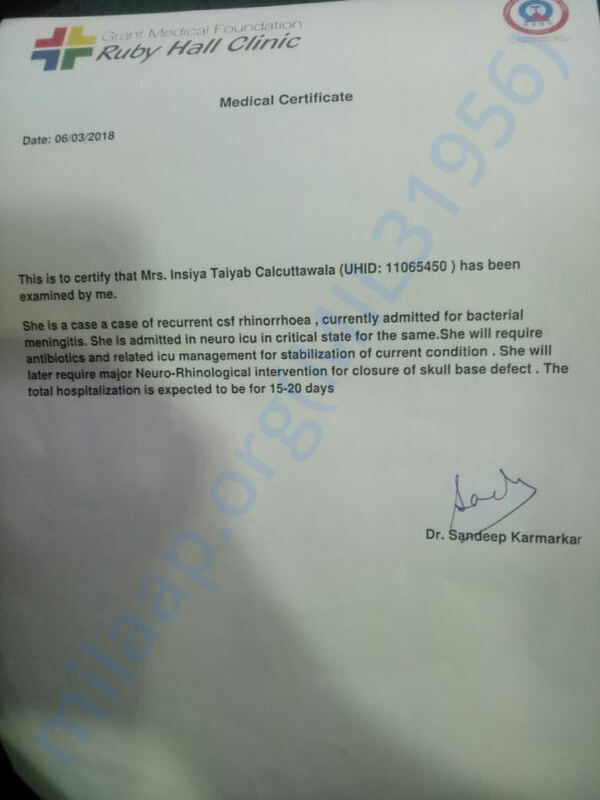 But after 2 years in 2017 she got a problem in her operated part of brain and doctor advised us to operate her again for a operation of CSF RHINORHEA Repair (Endoscopic) in which continues flow of water from nostrils and eyes and due to these cause nowadays she is suffering from Severe Infection in her brain as well as nose..
(4-3-2018) she got lots of problem and pain and had been operated to N.T.U(I.C.U.) 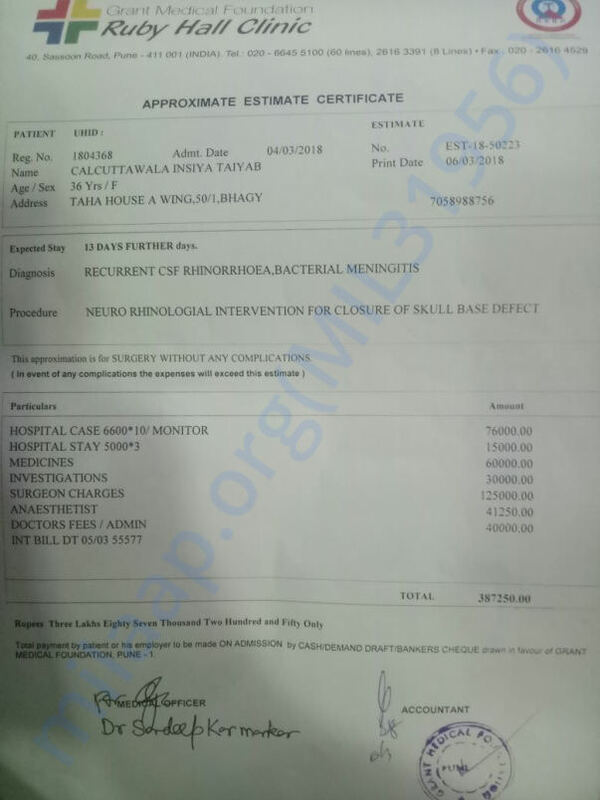 of brain damage bone at Ruby Hall clinic and the cost of operation and MRI reports and medical will cost around 5,50,000.. 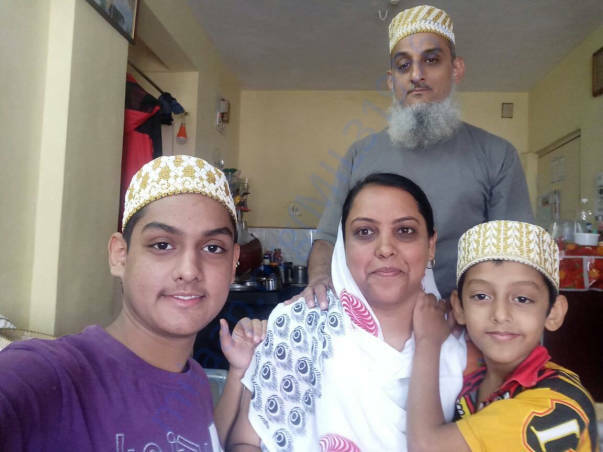 I have two sons which are too young and studying in schhol and college and myself Taiyab i work in a Garment shop on montly basis..So from me it is not affordable to make that much amount of money in such small time.. So kindly i request you all to help me and my childrens to be with their MOM and need ur all prayers to save INSIYA'S life.. So please do the needfull and oblige . 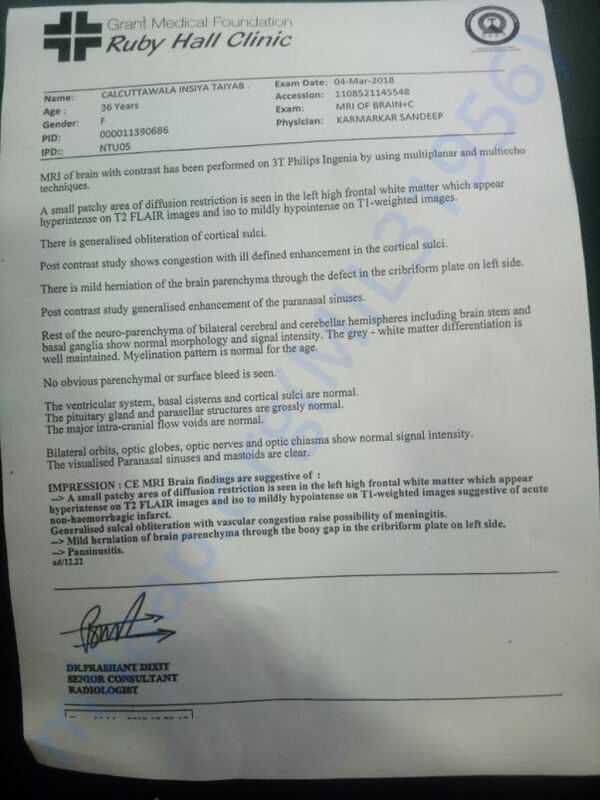 MEDICAL CERTIFICATE OF CONCERNED DOCTOR.. Here is an update on Insiya's health. My wife underwent the operation on 12th March 2018. The operation was successful and there are side effects like weakness, mild fever, etc. However, she has responded very well to the treatment. We have to visit the hospital for routine check-ups and to keep a track of dosage of the medicines. We are thankful to all of you for the love and support. Get Well Soon. Let me know if i can help with anything else. May ALLAH give you health and cure your ailment.